Prime Minister Narendra Modi today left for the Philippines, where he will participate in various bilateral and multilateral programmes, including the India- ASEAN Summit. NEW DELHI: Prime Minister Narendra Modi today left for the Philippines, where he will participate in various bilateral and multilateral programmes, including the India- ASEAN Summit. 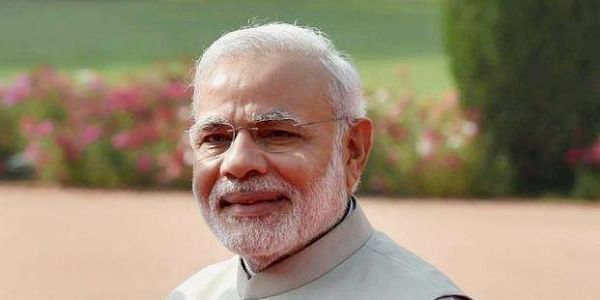 On the eve of his departure, the Prime Minister had said that his visit to the Philippines to attend the India-ASEAN Summit symbolises the country's commitment to deepening ties with the ASEAN member states and the Indo-Pacific region as part of the 'Act East Policy'. Apart from participating in the ASEAN-India and East Asia Summits, in the three-day visit, Modi would also take part in special celebrations of the 50th anniversary of ASEAN, Regional Comprehensive Economic Partnership (RCEP) Leaders' Meeting and ASEAN Business and Investment Summit. "My participation in them symbolises India's commitment to continue deepening relationship with ASEAN Member States, in particular, and with the Indo-Pacific region, in general, within the framework of my Government's Act East Policy," the prime minister had said in a statement yesterday. Modi said he looks forward to having a bilateral meeting with Philippines President Rodrigo Duterte and will also have interactions with other ASEAN and East Asia Summit Leaders. He said he was also looking towards connecting with the Indian community in the Philippines. The 10-member grouping ASEAN and India comprise a total population of 1.85 billion people which is one-fourth of the global population. The combined GDP has been estimated at over 3.8 trillion dollars. Trade between India and ASEAN stood at USD 65.04 billion in 2015-16 and comprises 10.12 per cent of India's total trade with the world.